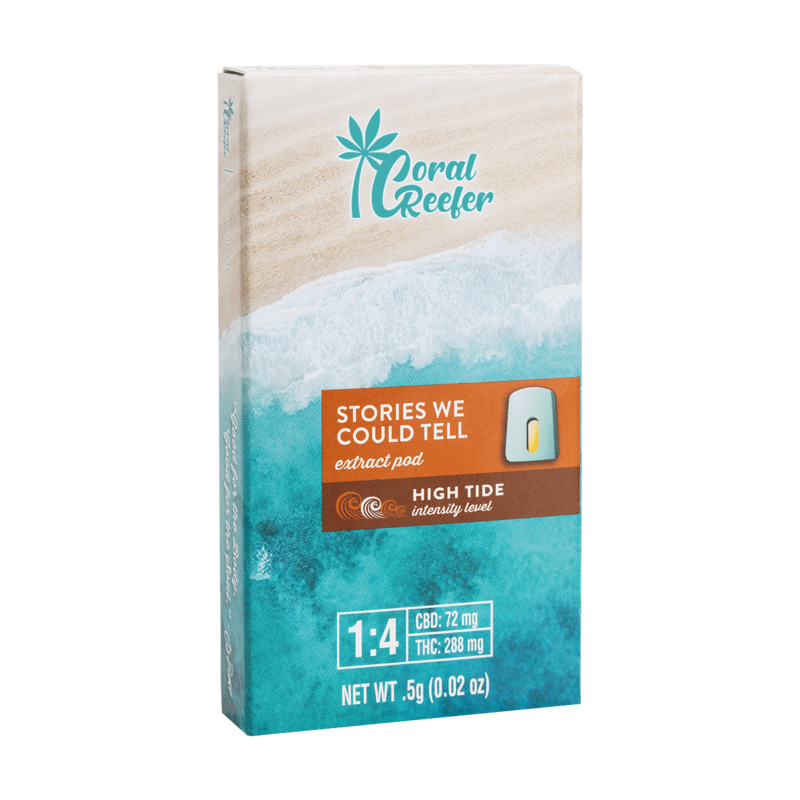 Stories We Could Tell is a relaxing THC-rich blend that can help relieve pain without drowsiness and set your mind at ease with moderate euphoric effects. Warm, relaxing sensation throughout the body with an elevated mood. Between now and May 31, 2019, any purchase of a Coral Reefer vape pod will qualify for a discount on your TideRider!